Ladies and Gentleman, this Saturday, Natalie will going to introduce you an old style cafe to take a rest. Not much variety of food for you to choose, but this is a place for you to think about the good old days... Shui Kee Coffe located in the Municipal building at Sheung Wan, not much tourist know about this tiny cafe, even the local people, they may not try this before. 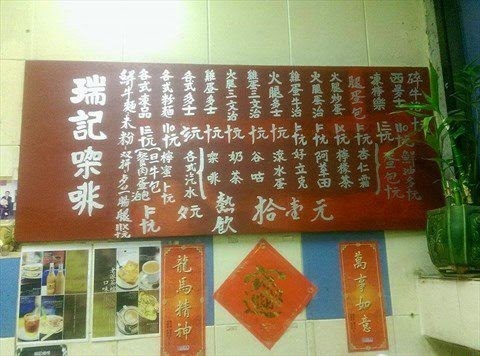 Yes, this is the menu of Shui Kee Coffee. It only provides some basic foods for people to choose. You know what? 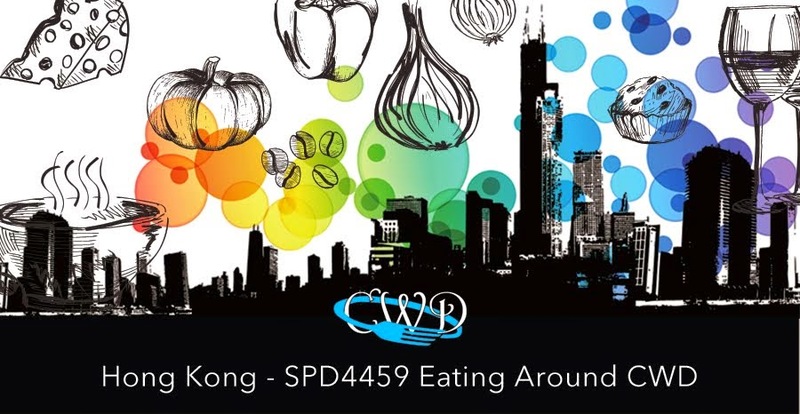 People before only can afford to eat these food, not like now, we can enjoy different kinds of food in Hong Kong. In the menu, it is all about different ingredient of the sandwich. For example ham with cheese sandwich, ham with egg sandwich, beef sandwich, beef with egg sandwich and etc. 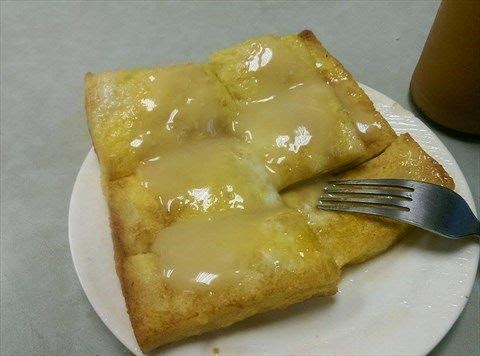 This Hong Kong style French Toast is pan fried instead of deep fried, so it is much more healthier :P Other restaurant will serve the toast with butter and honey, but in Shui Kee, the french toast was served by condensed milk. I love this milk very much!! It would not be too fat like butter with honey i think~~ It is very delicious!! 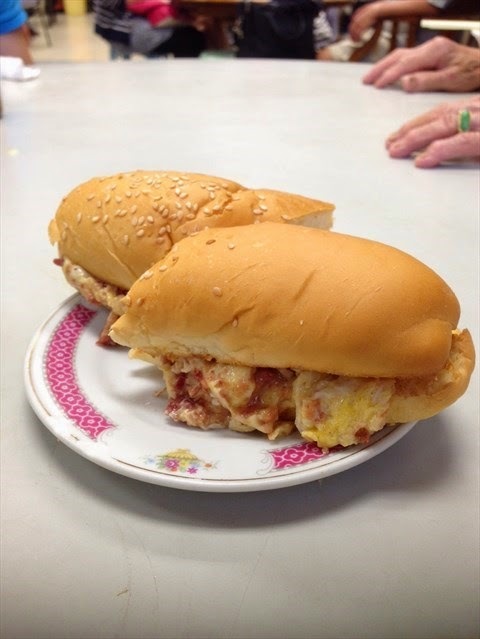 The beef and egg sandwich was one of the famous dishes in the Cafe. Not like other traditional Hong Kong style sandwich, it used the bread of hot dog. I think this combination is quite special and unique. The sandwich was a little bit hot when serve, bread is so soft and the beef taste so good. I ordered twice finally. 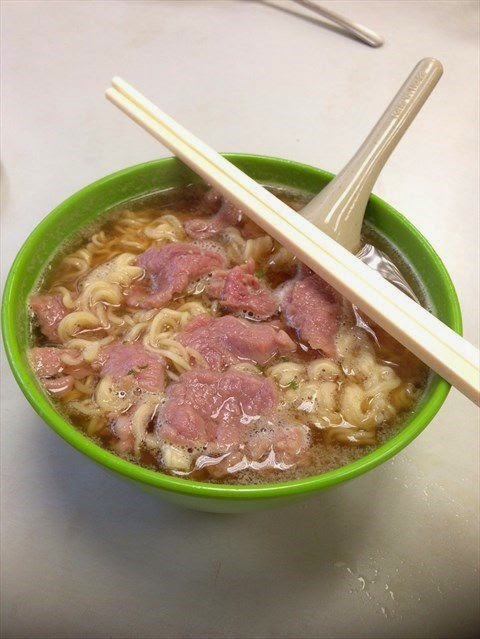 My friend ordered this beef noodle, i didn't try this noodle because i think the beef were too raw for me. The taste of the noodle was as usual as other noodle served in other restaurant. However, when you are in hungry and you sit in such a nostalgic place, you will say that this is fantastic! 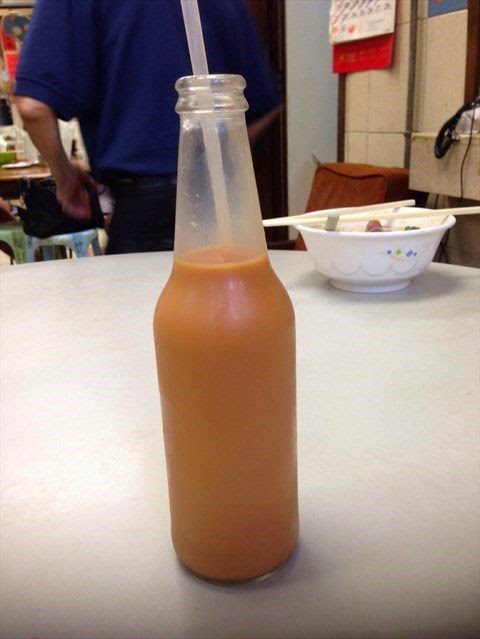 Last but not least, i must introduce this cold bottle milk tea to you all. This is a MUST ORDER item because this is super delicious in my point of view. It is not too sweet and the tea taste is quite strong. This represent that this milk tea was truly made by fresh tea leaf, therefore, this is the one i strongly recommend you to try! !